A large percentage of patients who consult with Dr. Press have difficulties with learning. While there can be many reasons for these difficulties, most of the children we see have had educational interventions and are not progressing to the satisfaction of their parents, teachers or tutors. These difficulties can persist into adulthood, or in some cases be acquired in adulthood. Dr. Press has developed evaluation procedures to determine whether the application of lenses, prisms, or vision therapy can provide help. Convergence insufficiency is by far the most common type of visual disturbance experienced by patients in need of specialized lenses, prisms, or vision therapy. Convergence is the act of using both eyes together at near. It is important not just to be able to converge accurately, but to be able to sustain convergence as needed for the entire day. In his textbooks and lectures, Dr. Press stresses the importance of having the optimal prescription to aid convergence before undertaking vision therapy. The two main systems that work together whenever you look at the printed text on a page are convergence or eye teaming and accommodation or visual focusing. These two functions support each other, and it is common for patients having difficulty with convergence to also have difficulty with focusing. Focusing isn’t just seeing things clearly, but the ability to switch focus between far and near, and to sustain near focus for long periods of time when reading, writing, or learning. Bifocals can potentially help patients of all ages having difficulty with focusing. In addition to converging and focusing, another crucial use of our eyes is to scan and to guide movement accurately and efficiently. This is essential for keeping our place when reading, and orienting ourselves in the environment. Some individuals will have excessive head movement when tracking with their eyes, or make seemingly careless errors in reading, walking, playing sports or driving. Lenses, prism, or therapy may be helpful tracking across the midline and decreasing excessive head movement. Nearsightedness or myopia, is a condition in which a person without glasses sees better up close than far away. Many doctors treat this by giving the full prescription to make distance as sharp as possible. There are other options that we review with you after the evaluation including visual hygiene, bifocals and prism. A new research protocol that Dr. Press has been utilizing is one drop of very dilute atropine in each eye daily. Amblyopia is a condition in which one eye doesn’t see as well as the other eye. Strabismus is a condition in which the two eyes aren’t aimed in the same direction at the same time. There are newer alternatives to patching and surgery, and Dr. Press reviews these with you after a thorough evaluation. It is important to treat these conditions early, but research has shown that some improvement is possible even in adulthood. Children with developmental delays often have abnormal visual development. Dr. Press factors your child’s developmental history, experiences with early intervention and patiently probes how each child uses his visual system to come up with an individualized assessment and management plan. Collaboration among professionals is particularly valuable for your child, and we welcome input and feedback from everyone involved in your child’s care. Dr. Press has collaborated with Dr. Serena Wieder co-inventor of FloorTime Therapy for children on the spectrum. 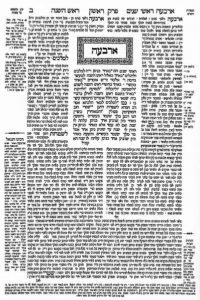 One of the greater visual challenges to reading and learning from the text page is known as “crowding”. 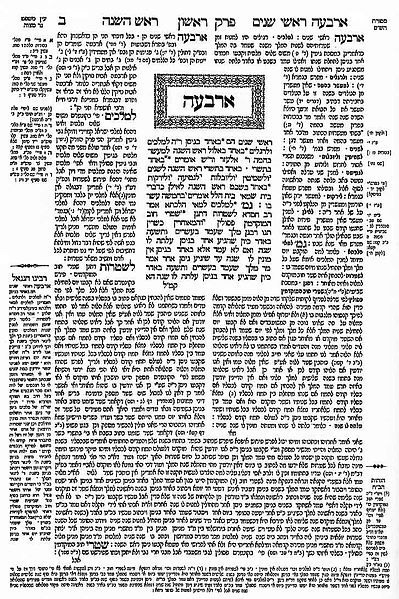 The Gemara’s text page is uniquely crowded, with variable font size and type, and nonlinear spacing with absent punctuation. Dr. Press is intimately familiar with these challenges, and takes the whole person into consideration in evaluating and prescribing for these unique demands.